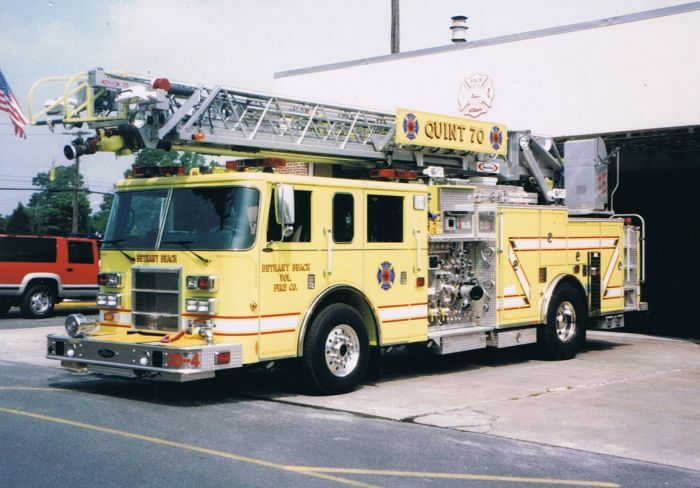 2002 Pierce Dash, Quint 70-4. Bethany Beach also has a ladder truck in it's arsenal. Beginning 2009 Bethany Beach Fire Co. will begin ambulance service as well.